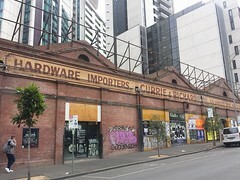 The University of Melbourne is hosting a three-day conference on approaches to preserving built heritage. Details on registering for the conference (including the full program are available here). The conference runs from Monday 29 September until Thursday 2nd October. For full details see the website. The inaugural event of the conference is free and open to all. Urban Heritage/New Architecture: Where to now? Local commentators talk of the ambition of a sustainable “20 minute city” and argue that well planned growth and densification of inner Melbourne will improve prosperity and liveability. Because many value both urban heritage and exciting new architecture is there a conflict? Have the planners got it right? Hear from our panel of experience commentators, join in and have your say. This event is free and open to those attending the conference, and to the general public. Register via this link. The aim of this three day conference is to bring together specialists from Australia and around the world to discuss issues concerning urban heritage, referencing their own experiences, approaches, opportunities, inhibitions, successes and disappointments, before an audience of both specialists and interested generalists. The conference will dedicate a day to the global experience, with an emphasis on Asia, and subsequently two days on Australia, with an emphasis on Melbourne. • What are the key urban heritage issues, problems and solutions facing cities in the UK, the USA, and Asia? 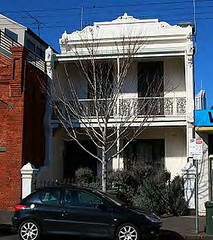 • What is the history of the urban heritage debate in Melbourne? • What heritage and planning legislation do we have in place? • Are our legislative and planning processes still fit for purpose? • Why is there such disquiet in the community? • What can be done to improve and rationalise the traditional stand-off between the development sector and the heritage lobby? We are pleased that both the Minister for Planning, Matthew Guy MLC, and the Lord Mayor of Melbourne, Robert Doyle, have agreed to be keynote speakers. NB The AIAH has recently been awarded a grant from the Hugh D.T. Williamson Foundation, this generous funding will enable us to offer a limited number of free places for University of Melbourne staff, Victorian tertiary students and representatives from voluntary organisations. These limited places will be filled on the general principle of a first come first served basis, but we will ask prospective attendants to outline in one or two sentences as to why the conference will assist them in their work. If you would like one of these seats please email: aiah-info@unimelb.edu.au , outlining which day or session you would like to attend.